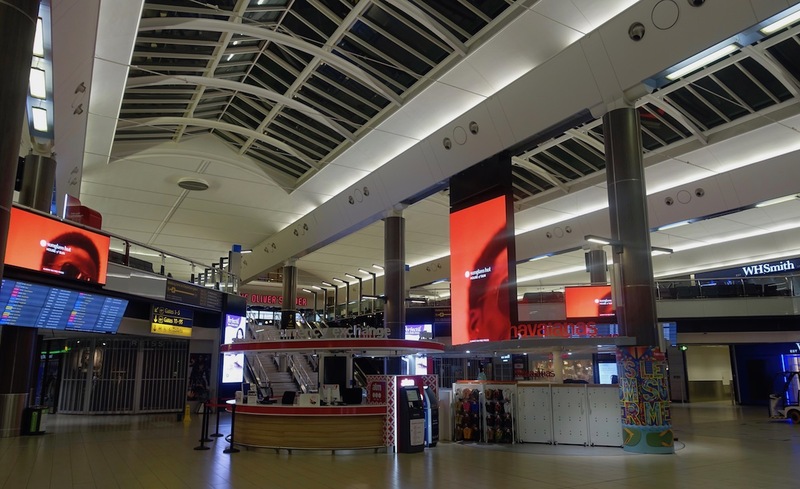 I headed from the Hilton Gatwick to the airport at around 3:30AM. 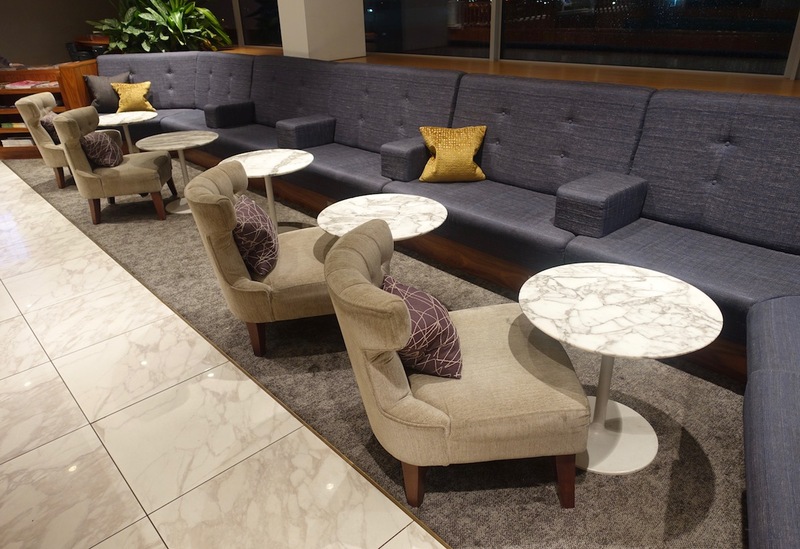 My flight to New York was departing at 6:05AM (the earliest westbound transatlantic flight, as far as I know), and the No1 Lounge opened at 4AM, so I wanted to be among the first there so I could review it. 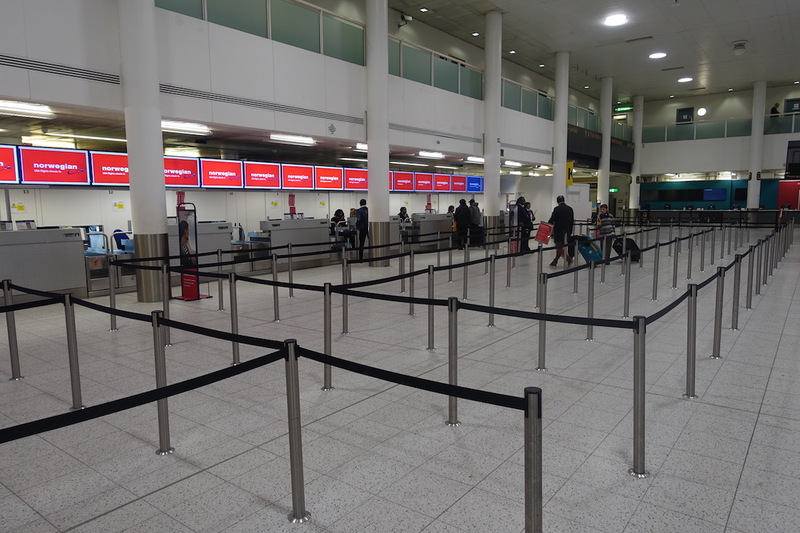 I quickly found the Norwegian check-in counter. I was flying Norwegian Premium, and while that comes with all kinds of premium services, there’s not any priority check-in included. That wasn’t an issue at all, since the counters were still empty. Within about a minute I was issued a boarding pass to New York. Norwegian Premium comes with access to fast track security, though that checkpoint wasn’t yet open so early in the morning. As you’d expect, there was no line at the regular checkpoint so early, and I was through in a matter of minutes. 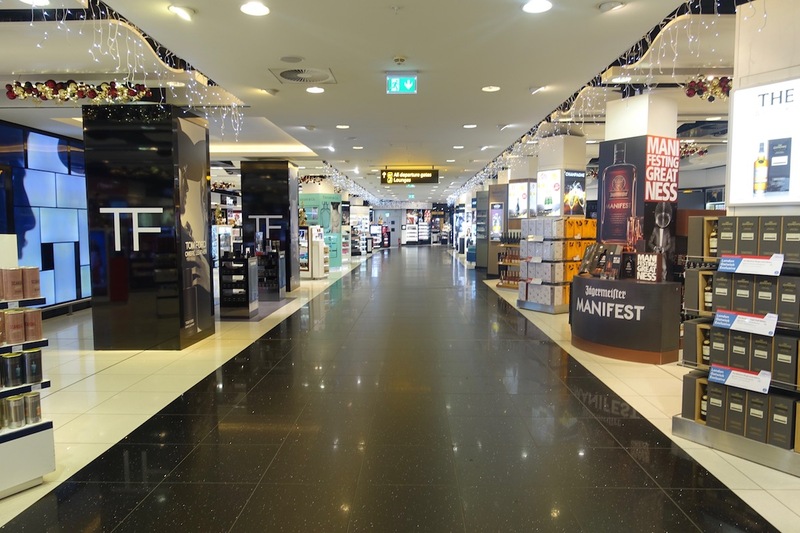 After that I made my way through the forced maze of duty free shops, as seems to be the case at so many airports nowadays. 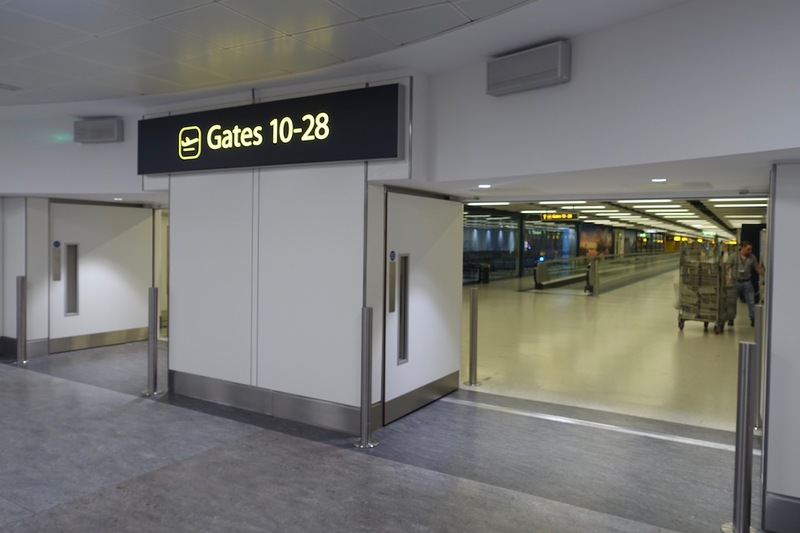 I then found myself in the central part of the South Terminal, and followed the signage in the direction of the lounges. The lounges in the terminal are located one level above the main concourse. The British Airways Lounge and No1 Lounge Lounge are in the same general area of the terminal, at the top of the escalator and to the left. I arrived at the lounge right as it opened. 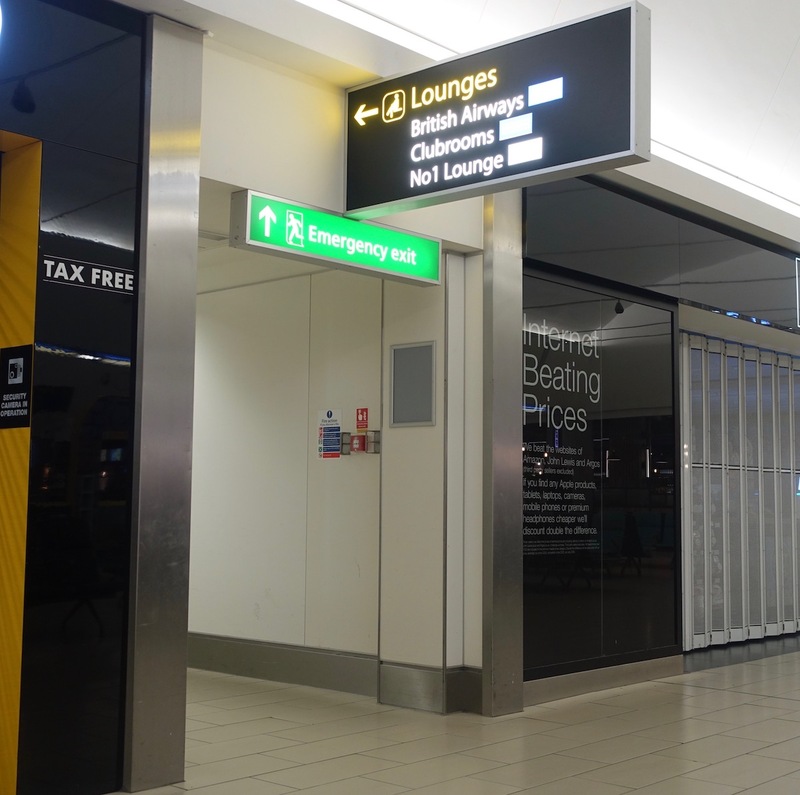 The No1 Lounge Gatwick South is open daily from 4AM until 10PM. 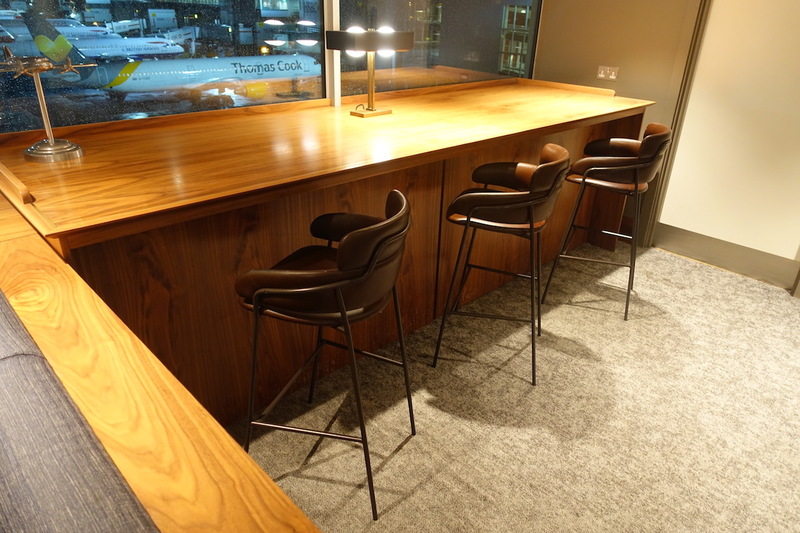 Norwegian Premium passengers get access to the lounge. Other airlines also use this as their contract lounge, and on top of that, this lounge is also part of Priority Pass. The catch is that the lounge often has capacity restrictions for Priority Pass members, given that it’s not very big. So if you are a Priority Pass member, you can always head to the Grain Store Cafe & Bar instead, where members get a £15 per person credit. 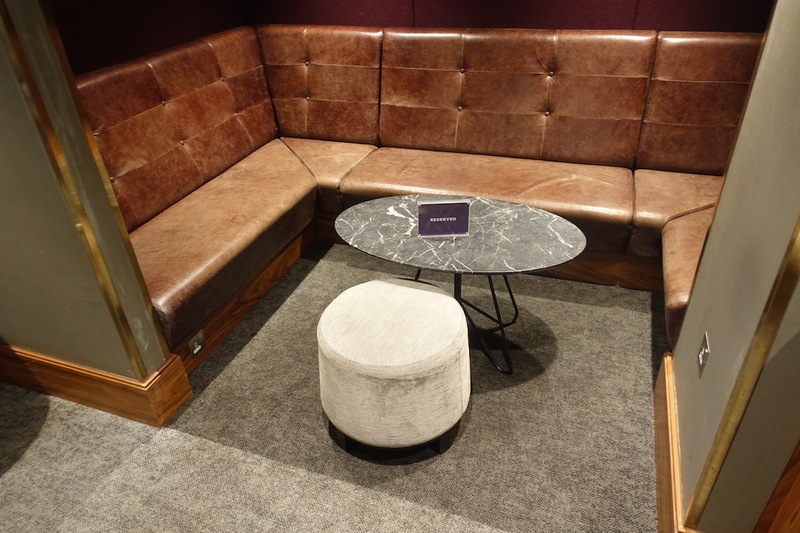 Lastly, you can pay cash to enter the lounge, with rates starting at 32GBP (this allows you to book in advance, so you won’t be turned away if the lounge is too crowded). 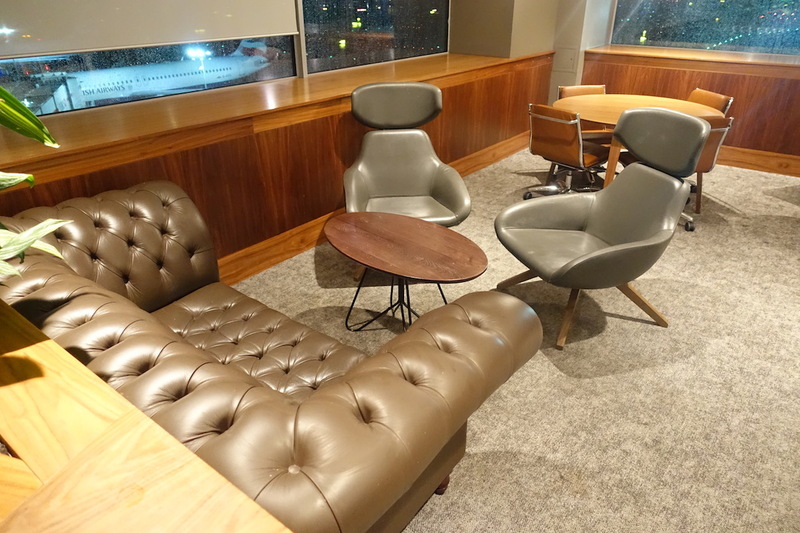 I had visited the No1 Lounge Heathrow Airport Terminal 3, so was curious to see how this lounge compared. While fairly small, the No1 Lounge is actually really nice. The lounge consisted of one main room, and in terms of design reminded me a bit of the Virgin Atlantic Clubhouse Heathrow. 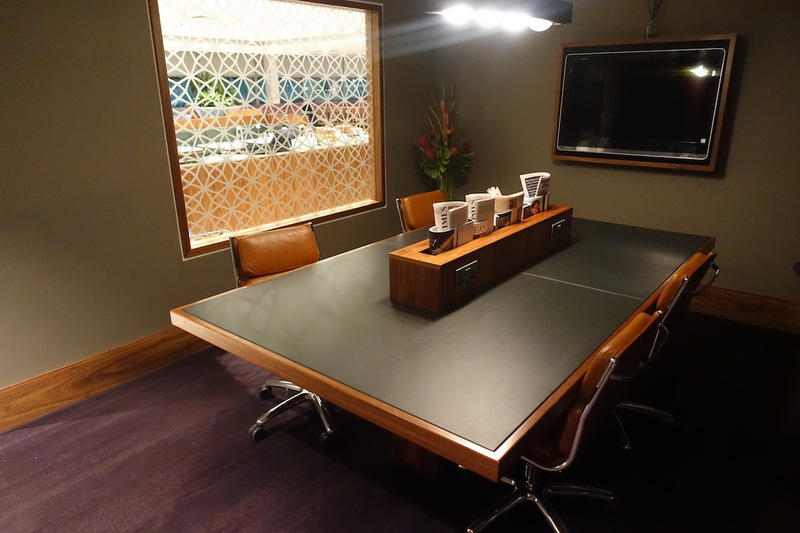 Near the entrance to the lounge was a dining area, with a dozen dining tables seating 2-4 people each. Just past that was a bar area, along with some couches. Then there were stairs leading up to a higher level, where there were seats along the windows. Half of the lounge has windows overlooking the apron, which I quite like. 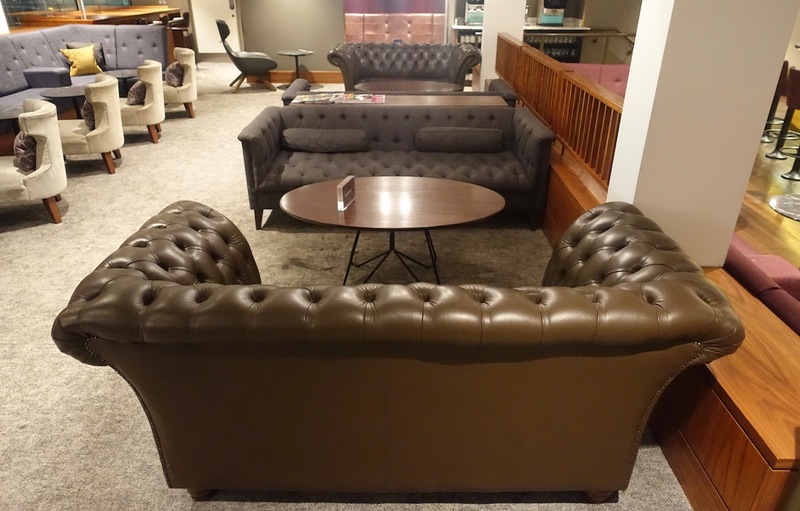 As you can see, there were tons of couches, as well as other types of seats to add some variety. Back towards the entrance was a small business center with a communal table and some rolling chairs. Also in this area was a quiet room, though there was someone in there, so I didn’t take a picture. 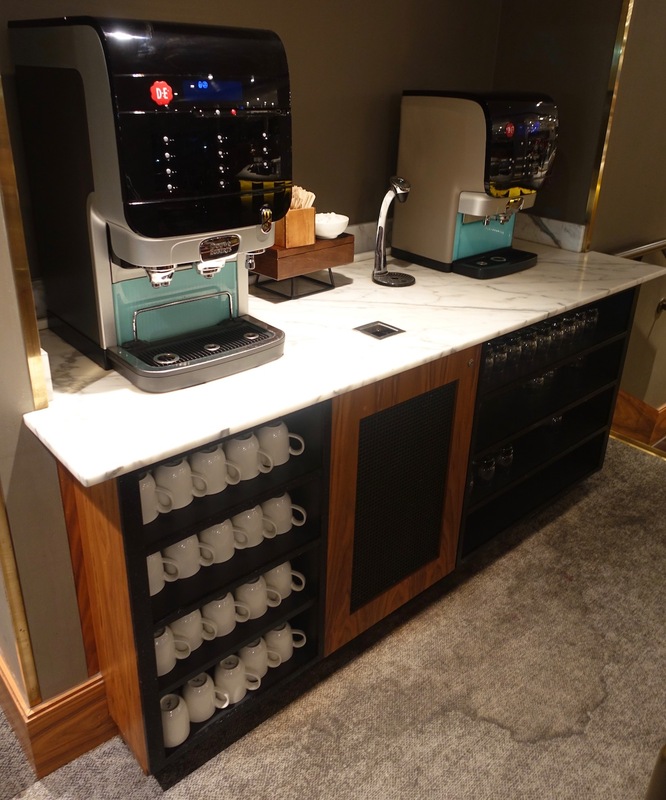 As far as the food and drink selection goes, the lounge had a couple of drink stations, with coffee machines, a tap for water, juice, and a soda fountain. Then there was an area with croissants, pastries, and tea. The main area with food was right in the center of the dining area. 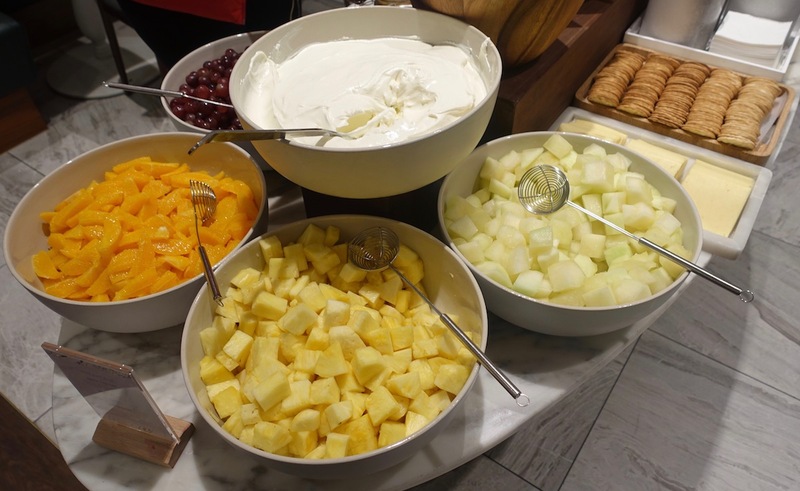 The selection was fairly limited, and consisted of cereal, some fresh fruit, yogurt, and crackers. I would have ordered something, though nothing really sounded appealing to me. I believe alcohol is only available at the bar. Given how early in the day it was, it’s also possible that there’s a self serve selection later in the day. My boarding pass indicated that boarding was due to start at 4:45AM, a full 80 minutes before departure. That seemed awfully early. I asked at check-in if they actually start boarding that early and they insisted they did, so I decided to obey that, since I was hoping to be among the first aboard to get pictures. I was still skeptical, though. So I headed into the terminal shortly after 4:30AM, and the departures board indicated that a gate would be posted at 4:35AM. Sure enough, at that time it was posted that my flight was departing from gate 13, so I headed in that direction. The gate was about a five minute walk away. It wasn’t really surprising, but in reality 4:45AM was only the time at which the gate opened. So my boarding pass was scanned and passport checked, and then I was in the gate area. The gate area filled up significantly over the next 30 minutes. I saw the crew board at 5:15AM, and then at 5:25AM passenger boarding began. 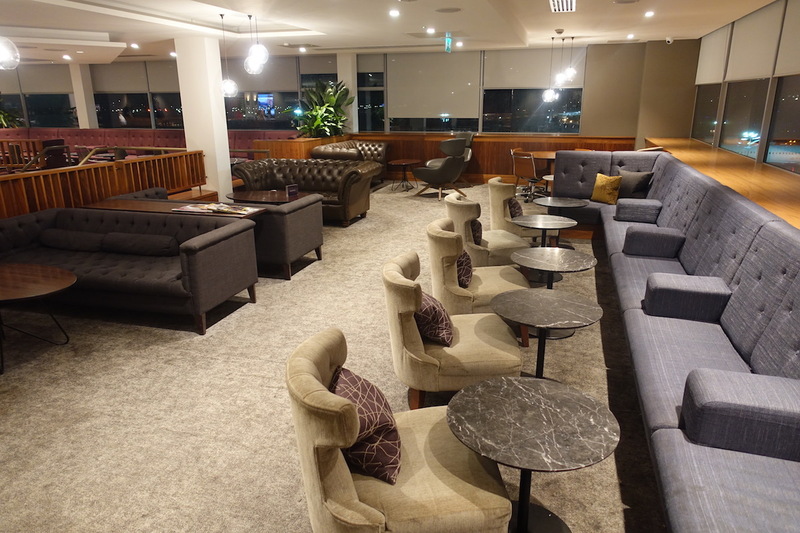 The No1 Lounge Gatwick is a really nice contract lounge. It’s a beautiful space physically, with an alright buffet and a nice a la carte menu (though it looks better for lunch and dinner than breakfast). The major catch is that it’s my understanding that the lounge tends to get really crowded. Obviously I didn’t face that issue at 4AM, but I’m sure if I had been there later in the day it would have been a very different experience, and I might have headed to the Grain Store for a meal instead, using Priority Pass. 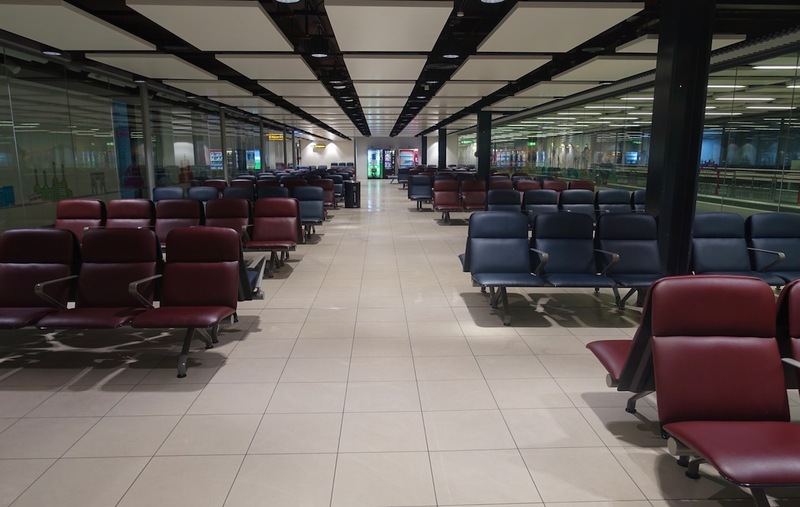 If you’ve used the No1 Lounge Gatwick, what was your experience like?